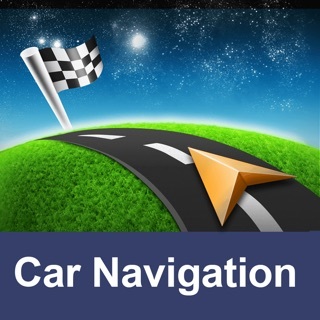 Sygic GPS Navigation & Maps is the world’s most advanced navigation app. Lots of smart navigation features, beautiful 3D offline maps and easy to use interface provide exceptional navigation experience. 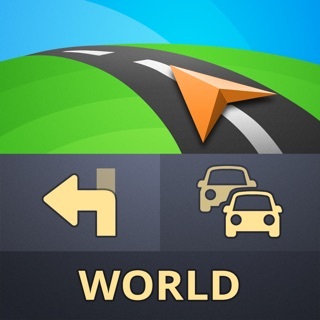 Get Sygic GPS Navigation and join over 200 million happy drivers. Subscriptions will be charged to your credit card through your iTunes account. Your subscription will automatically renew unless canceled at least 24 hours before the end of the current period. You will not be able to cancel the subscription once activated. Manage your subscriptions in Account Settings after purchase. This update brings another new feature to Premium for Carplay. Now you can choose to avoid highways, toll roads, congestion charges, ferries, unpaved roads or entire countries on the car's screen. Also, we've made a couple of improvements and bug fixes to make sure your app runs like clockwork. Version 17.9.2 introduces a fresh new design of the night mode. The enhanced night mode makes driving after dark easier on the eyes. 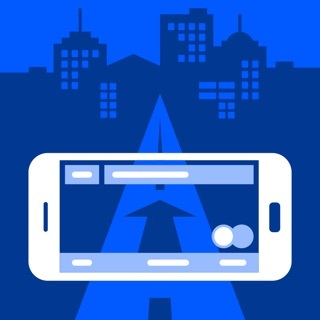 I like the direction the app is taking, as I was and still am a faithful user of Waze. I sometimes pair them side-by-side and alternate using them in Apple CarPlay. The good thing is that the maps are quick loading when offline, when Waze is still “Searching Network “. Since I live and drive around Philadelphia, I would expect to see some of the newer skyscrapers in the expanded 3D view. However, the buildings that show up in my routes are very nicely detailed and accurately placed. Please update with the newest buildings and landmarks. Philly is growing rapidly and the representation on the map looks more like the early 2000s than recently. I have to say that the voices in the guidance are too robotic sounding, so I use Waze for voice guidance. Is there a way to clean up the way the on screen icons look so they look more like the businesses or POIs they represent? Such as a Golden Arches for McDonald’s and etc. so the logos look familiar on the map. I really love how quickly the map reroutes when I miss a turn. It is relentless in finding another route until I reach the programmed destination until I either reach it, terminate it, or set another. That is the primary reason why I use this app along with Waze because it is SOOO reliable in this way. If you can update with my suggestions, I will come back and write a glowing review. Thanks for getting me there in advance. Downloaded this app months ago but only used it once or twice because the search bar was horrible. I was using Google Maps and I never had issues finding places near me. 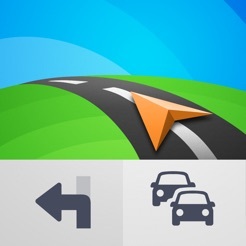 This app seems to expect you to know the full address of where your going. You can’t just type in the name of a restaurant. This is just frustrating. A few days ago, I decided to give the app one more chance because I liked the idea of the augmented reality feature ( which I paid for). I tried it for the first time today and it was a total let down. The idea is awesome but it’s hard to tell where your next turn is. The AR screen tells your speed and distance but there are no cues to warn you about exits, turns, NADA! Nothing! I missed my exit because the sound was turned down and you simply can’t see the turns in AR mode. I’m going to triple check that I didn’t miss a setting somewhere because I really want this to work. If not... I’m going to request a refund. UPDATE: still no sound! Then when you get online to try and contact the seller, they just send you in circles. There is no clear way to request a refund. I’m sure I can call itunes but why not make it easy? BECAUSE YOU DONT WANT TO GIVE $$ BACK FOR A POOR APP! Sometimes customer service is what makes or breaks your company...hiding your non existent service Dept behind links that send you in frustrating circles. I WILL BE TRYING TO CONTACT SOMEONE to try and get my money back. Hello, we will gladly help you with any issues you might have regarding the application. Please create a help request at urgentsupport@sygic.com, keep in mind to provide as much relevant information as possible to ensure the fastest solution to your issue. Matus from customer care team. Update:the search function has greatly improved, but now the directions leave much to be desired. I have noticed that the map shows all lanes of a highway are fine, only to find that it tells me it is time to turn less than 1000 feet from the exit, sometimes it finally tells me I am turning right when the exit only lane appears. Also, on my last trip it kept telling me to get into the carpool lane so it showed me turning, every mile or two; this made it impossible to know when my real turn would be. It would be nice to get more specific info about future turns too. Finally, why is the info bar at top sometimes blue and sometimes green? I am sure there is a reason but haven’t figured it out yet. At this point I only use Sygic when I am in areas with no cell signal, otherwise I use Apple maps. I used to love Sygic and keep hoping they will finally work out all the bugs. If I can get the program to understand where I am going, it is top notch, but actually getting it to recognize an address or find a location is frustrating at best and an utter failure at worse. At one point you could share an address from Apple maps and that was great but then it was removed, by Apple or Sygic I have no idea, but pretty much an epic failure now most of the time. As I do like the maps, once I have gone someplace I mark the location so I can find it again. Hello, we will gladly help you with any issues you might have regarding the application. Please create a help request at: urgentsupport@sygic.com, keep in mind to provide as much relevant information as possible to ensure fastest solution to your issue. Alex from customer care team.